Are you ready for fence repair in Pembroke Pines? Fence Builders Pembroke Pines offers premier quality fence repair services. We cover all kinds of damage to fences and gates no matter what causes it. The process to repair a fence is simple and easy. We will come out to your property and inspect the damages and figure out the correct way to administer repairs. Then we communicate with you to figure out the best course of action because we value your input. Once we get the okay from you, we will go ahead and begin the repairs. 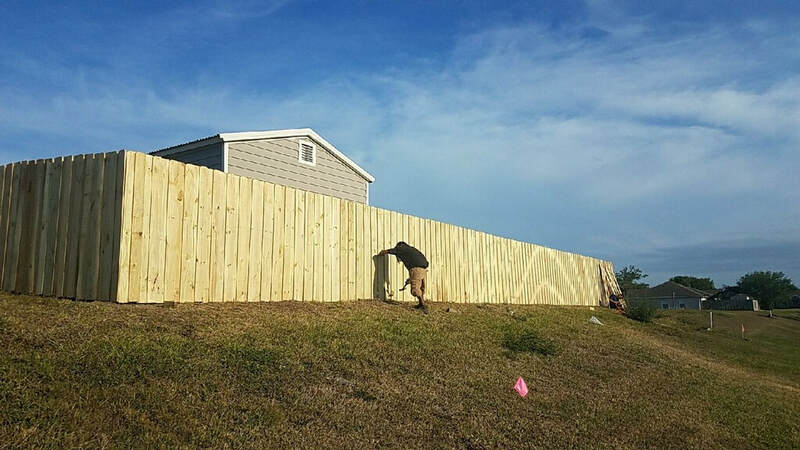 Our fence builders take pride in their work and they always want to make sure the customer gets what they need, so you can be assured that the job will be done right with no shortcuts. All our repair services are done in a timely manner so you don’t have to worry about damages any longer than you should. After the repair is done, we will leave you with any information you may need or information you request regarding your fence and how to maintain it. We know that damages can happen, especially ones caused by storms or accidents. It can be stressful knowing that you have to get it fixed but we want to keep this process as stress-free as possible. Once you notice damage on your fence or gate, give us a call and we will be more than happy to get our professional fence builders to your property to get your fence functioning as normal again.